Welcome to The Eye Clinic, where the one-on-one attention we give each patient sets us apart from others in the field. We serve Helotes, San Antonio, and surrouding areas in northwest Bexar county with the highest level of eye care. We provide routine and medical eye exams. Both your vision and eye health is of great importance to us! Not only can we help you with glasses and contacts, Dr. Acosta specializes in the diagnosis, treatment and care of glaucoma, dry eye, and other medical eye conditions. At The Eye Clinic we are more than happy to support all of our patients - from young children to seasoned adults - and make sure that you are treated like family. From the time you walk through our doors until your visit is over, our dedicated staff will help you with all of your eyecare needs including choosing the correct frames and lenses to suit your eyewear needs. We have specially trained staff who are committed to serving you and your entire family. Please visit us at 11864 Bandera Road in the Bandera Trails Shopping Center. 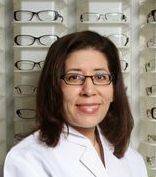 Dr. Acosta is ready to meet you and help you with all of your eyecare needs! Current and new patients are welcome to drop in to say hello, book an appointment and meet our friendly staff. Your hometown Optometrist, meeting the eyecare and eyewear needs of the community. 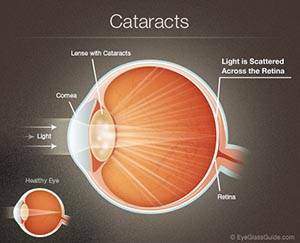 Our office uses state of the art equipment to diagnose and treat eye conditions. Stop in today to see our selection of frames.